My mailbox (and inbox) have been stuffed to the gills with donation requests since November. Cashiers in chain stores have been asking me if I’d like to donate to their company’s favorite charity for months now. The sidewalks are dotted with bell ringing charity workers (every time a bell ring and angel writes a check?) A person might suffer a wee bit of wallet fatigue by the time the holiday actually arrives. If you find the notion of holiday tipping repugnant, I would encourage you to reexamine your stance. Whether one celebrates Christmas or not, we live in a country which considers the day to be a national holiday of sorts. Many traditions have developed in support of this practice. It is customary (when possible) to give employees the day off on Christmas Day. It is also the time of year in which people express their gratitude for work done throughout the year. Hence, the Christmas bonus. For those of us who are not a C.E.O. 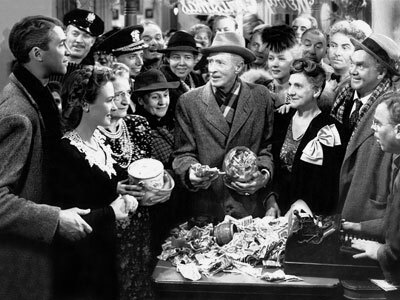 of a grand financial institution,the Christmas bonuses we dole out are more like, uhm, tips. I have often heard people grumbling about tipping their building staff. I would just like to point out that you probably were not forced to live in a doorman building, anymore than you were forced to eat food served to you by a waitress. It is implicit in the service sector that not all compensation comes from an employer. How much one gives is entirely up to the individual. There are no hard and fast rules, there are only guidelines. Never give more than makes you comfortable or than you can afford. Give the amount which makes you happy. Yes, happy. Tipping, like gift giving, is not the result of extortion. It should be a genuine expression of your thanks. And why in the world would you say thank you unless you actually felt gratitude? Hee Haw and Merry Christmas.